What an incredibly interesting book. I have long been curious about the Amish people and their ways and more so lately so this book was really timely for me. I enjoyed the writers style - it was very easy to read as she delved into Amish lifestyle/culture/wisdom to present this book. To sum it up the Amish people place value on relationships over materialism. They will mend something instead of throwing it out to buy another, they will say no to their impulse urges to buy the latest whatever and if it's something they really want they will work for it and pay cash. Children are not overindulged but taught life skills and value in money and help to share the burden of running a home. Amish people generally stay away from debt but if it is necessary they always pay everything back on time. They buy in bulk. They reuse and frequent second hand stores and garage sales where so often bargains are found. 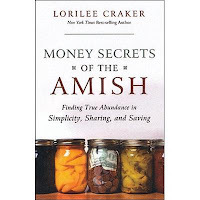 Craker delves into the core of Amish thinking - learning delayed gratification as one important aspect, repurposing and reusing as another. 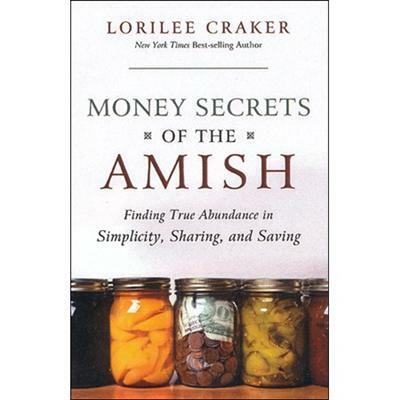 I really enjoyed this book because as it is written Craker comments on ways we can incorporate these ways of thinking into our own lifestyles without necessarily having to become Amish. A very interesting read!